Harkila Herlet Tech Shirt. 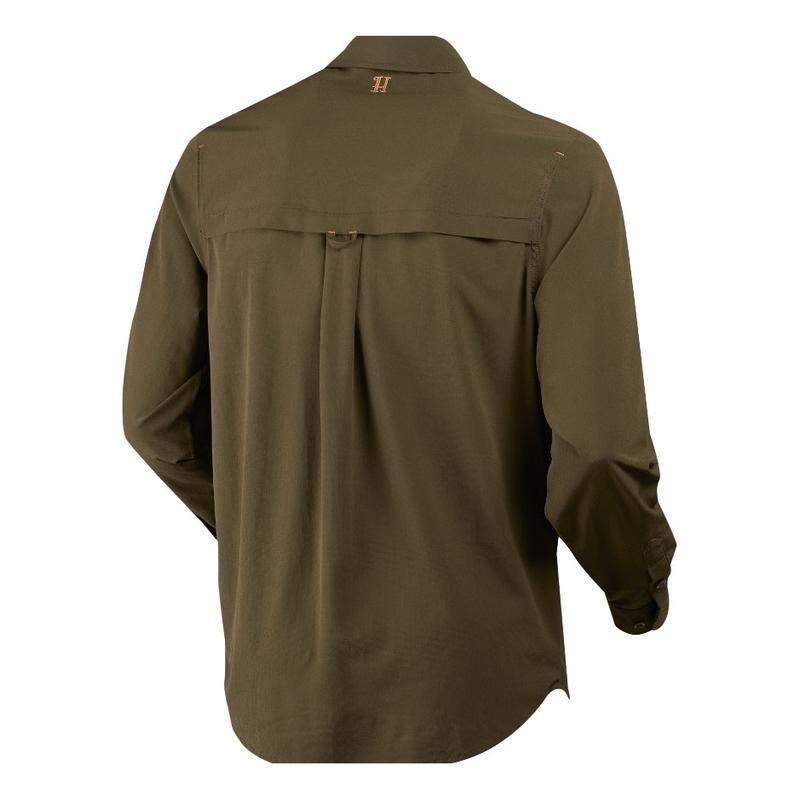 Hard-wearing, full-stretch shirt in ripstop fabric. Breathable, moisture-wicking and quick-drying. Ideal for active use. The built-in Insect Shield® renders flies, mosquitoes, fleas and ticks harmless. 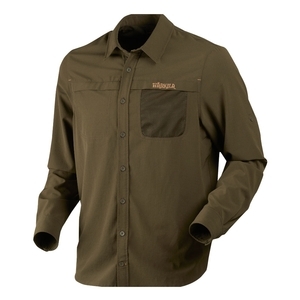 The Tech shirt is part of the Herlet range, designed for travelling light without compromise. Excellent piece of kit for those hot summer days we got recently.&nbsp;Also bought the trousers as well, didn't had a single tick on me since i started wearing the kit out stalking. I would score this a 10, but not so hard wearing in brambles and thick cover.&nbsp; Great stuff nevertheless!